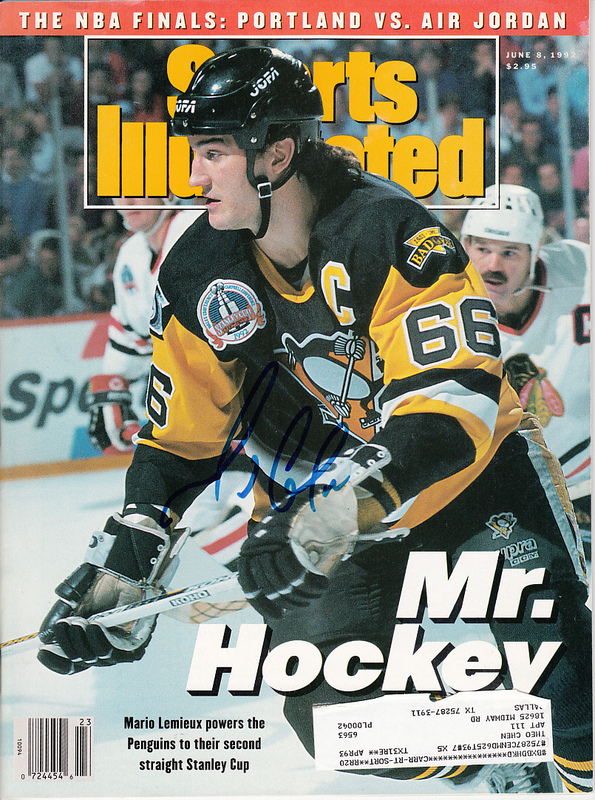 Complete Sports Illustrated featuring Mario Lemieux leading the Pittsburgh Penguins to the 1992 Stanley Cup, autographed by Lemieux in blue marker. Has label and very minor wear. With certificate of authenticity from AutographsForSale.com. ONLY ONE LEFT.